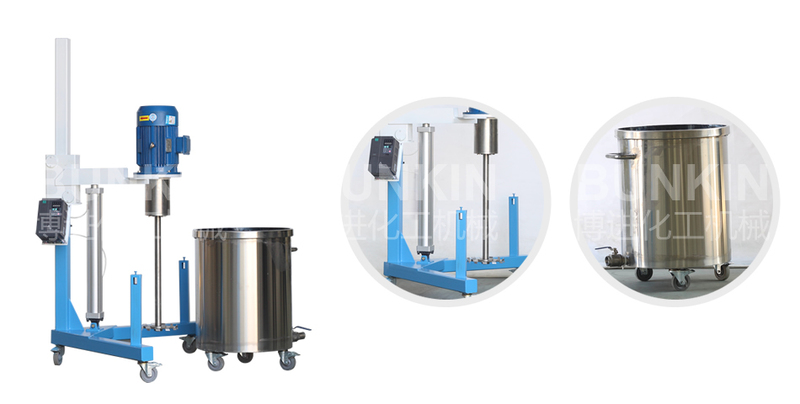 Pneumatic High Speed Disperser_Anhui Bunkin Chemical Machinery Co.,LTD. 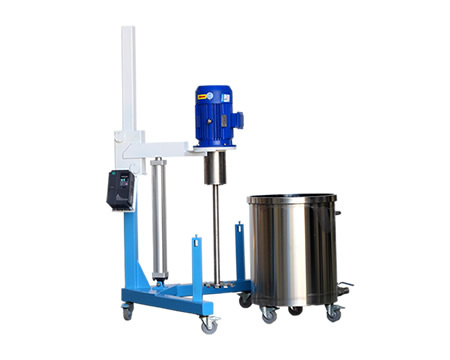 It is with function of both dispersing and mixing. It is a mid-batch machine widely used for small batch production in factories, scientific research institutions, universities etc.it equipped with inverter to realize various speed control, can rush for a long time, low noise and stable option. The dispersing disc can be easily disassembled. Adopt air cylinder as actuator, environmental friendly and pollution free. It is the ideal equipment for small batch production. Through the high-speed rotation dispersing disc, the material will become in annular form flow, resulting in strong vortex flow, which descend down to the bottom of the vortex in spiral state. During the process, materials are dispersed, dissolved, mixed and emulsified efficiently due to the strong shearing crash and friction among the particles. A SS 304 shaft duly machined and balanced is provided with a cowless disperser blade of special design for quick and efficient dispersion. The dispersers blade is made from special steel to withstand high wear and tear. The shaft is installed in a bearing housing provided with taper roller bearings. Lubrication points are provided on the housing. The entire drive head and shaft is mounted on pneumatic lifting system which can be lifted and lowered to clear the height of the vessel.